One of the greatest modern marvels of the last century has to be the air conditioner. Invented in 1902 by Willis Carrier, a 25-year-old engineer from New York, the air conditioner brings sweet, cool relief from the sweltering, dog days of summer, which is why more than three-quarters of all U.S. households today have air conditioners. But all that cool comfort comes at a cost, both environmentally and financially: Energy consumption for home air conditioning accounts for more than 8 percent of all the electricity produced in the U.S. for all purposes, at a cost to homeowners of over $15 billion, according to the U.S. Department of Energy (DOE). No wonder homeowners might feel like their money is flying out the window every time they open their monthly utility bills. Here are some of the causes for energy loss in the home and some solutions for energy savings. Poorly fitted or sealed windows can be a major source of energy loss and pose real energy efficiency problems. Not only does the warm air entering your home force your air conditioning system to work harder to maintain a comfortable temperature, but these entry points also make it much easier for the cool air inside your home to get out. In fact, The Washington Post reports that air leaks at windows and doors accounted for more than 21 percent of all indoor cooling losses. Air ducts are one of the most important systems in your home, yet the typical house loses 20-30 percent of the air moving through the system due to leaks, holes, and poorly connected ducts, according to Department of Energy. The result is higher utility bills and difficulty keeping the house comfortable, no matter how the thermostat is set. Plugged-in devices draw electricity even when they’re turned off or not being used. DOE estimates that appliances and electronics running on standby power—everything from your cable box and TV to your voice-activated home devices like Amazon Echo or Google Home—cost the average U.S. household $100 per year. Lighting your home accounts for about 20 percent of your electric bill, or an average of $200 per year, according to Energy Star. Even recessed lighting cans that haven’t been properly sealed can allow air conditioning to escape into your attic system and contribute to energy loss in the home. Insulation—particularly in the roofs, ceilings, walls and floors—acts as your home’s barrier to air loss and heat gain, keeping it cooler in the summer and warmer in the winter. In fact, the DOE estimates that you can reduce your heating and cooling needs up to 30 percent by properly insulating and weatherizing your home. The first step should be a home energy audit or assessment, whether it’s conducted by a professional or by a homeowner. 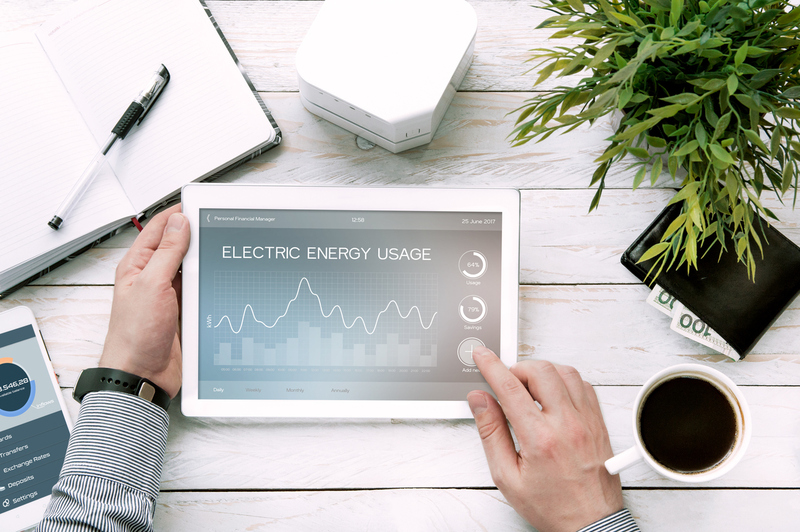 That way, you’ll have an idea on how much energy your home consumes and what measures you can take to make your home more efficient. The DOE has a DIY home energy audit checklist. If your windows and doors are in good condition, you might just need to weatherstrip and caulk any gaps. Or, you could update your existing windows by adding solar control film or insulated cellular shades. Single-cell shades, also known as honeycomb shades, can prevent unwanted solar heat in the summer by up to 80 percent, according to the DOE. For a more energy efficient fix, especially if your windows and doors are over 10 years old, you should consider replacing any drafty windows and doors. A recent study by Energy Star found that by switching out a single-pane or even a newer double-paned, clear-glass window to an energy-efficient window can save the typical home up to $465 a year. “If you have the money, replacing old windows with energy efficient ones is a worthwhile investment, as they also add value to your home,” Reader’s Digest recently noted. Long Roofing’s Quantum2 Heat Mirror Windows feature UV blocking, thermal insulation, and condensation resistance to reduce solar heat gain in the summer and reduce heat loss in the winter. When it comes to stopping cool air from escaping your home, you need to look up—at your ceiling, your attic, and the roof. Make sure your attic is properly insulated for year-round energy efficiency. The DOE recommends a minimum R value of R-30 for very warm climates, and up to R-39 for cooler climates. Check all attic and rooftop vents, including soffit, exhaust and static vents to make sure they are working and not blocked. A vented attic is approximately 30 degrees cooler than an unvented one. In addition, make “cool” choices when it comes to roofing. Standard or dark roofs can reach temperatures of 150°F or more in the summer. Lighter colored or reflective roofing materials can help lower the roof surface temperatures by as much as 60ºF and reduce your peak cooling demand by 10–15 percent. Long Roofing’s Integrity Roof System® features quality asphalt shingles with opaque, UV-resistant granules that have been engineered to keep the sun’s damaging rays from reaching the asphalt underneath. Interested in making your home more energy efficient? Keeping your house cool shouldn’t make you sweat. Prevent energy loss in the home by following these tips and suggestions. When you’re ready to replace your roof, windows or doors with most energy-efficient options on the market, contact Long Roofing at 844-602-LONG or visit us online to request an estimate.